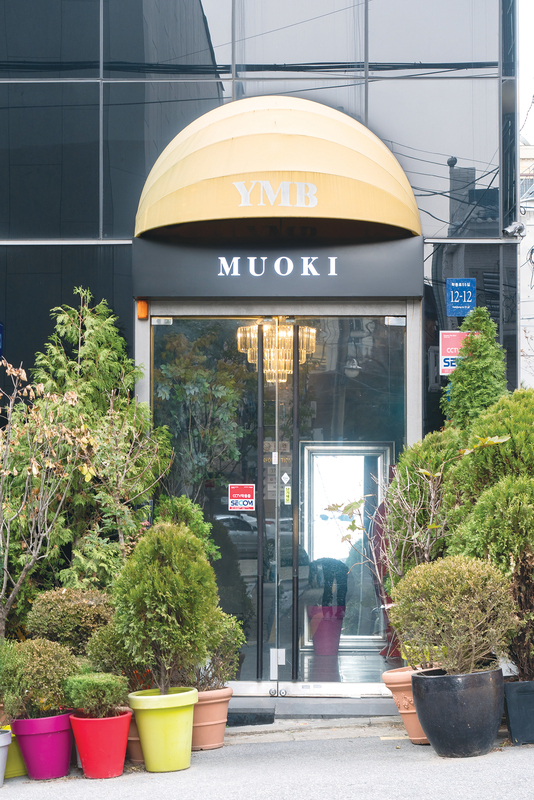 The chef and owner of the new restaurant Muoki, Park brings an openness and youthfulness to the high-end scene in the trendy Cheongdam-dong area. 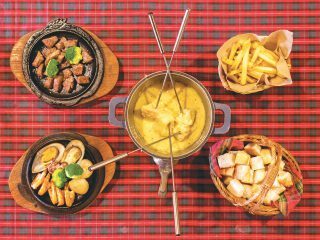 Many restaurants have taken an experimental approach to their food, incorporating local ideas and ingredients into the burgeoning international food scene in Seoul, but few manage it with as much joie de vivre as Park brings. He also brings an unusually wide range of global knowledge and experience to the job, having lived everywhere from England to Iraq. “I decided to go live and work overseas because I wanted to improve my English. I’d studied food for a year in Korea, then headed abroad,” says Park to explain how in just a few years, he had a career that spanned interning at Heston Blumenthal’s The Fat Duck, cooking for the Hilton Hotel in Washington, D.C., and then as demi chef at Quay in Sydney, Australia, and the chief sous chef at The Test Kitchen in Cape Town, South Africa, before returning to Korea. “At first, I just wanted to return home and cook. Then, after two years of working in Jeju, it was time to come up to Seoul. 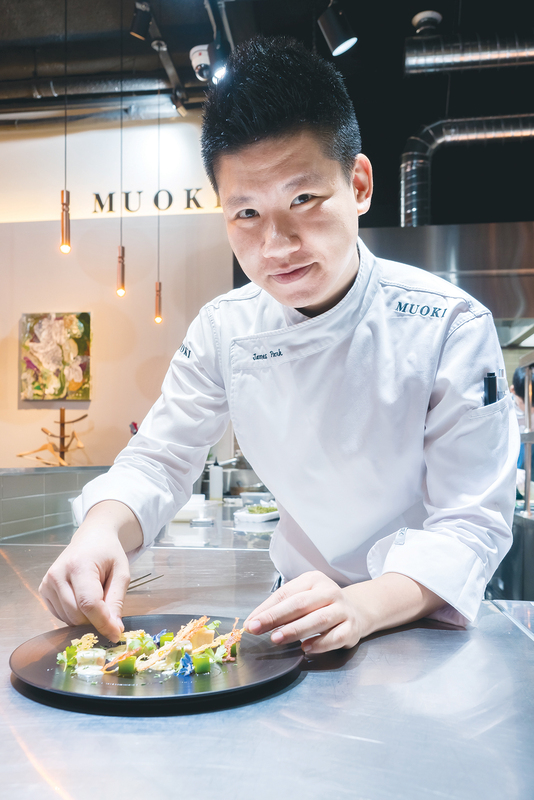 Seoul is the most important culinary city in Korea in many ways, but I went to Jeju first to concentrate just on the food and prepare myself,” Park says, explaining how he came to open Muoki. 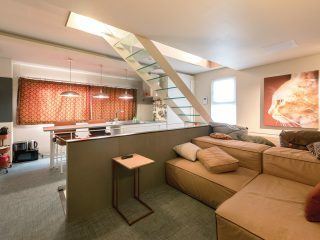 The name comes from the South African name for the oak tree, a nod to the two years he spent in Cape Town and a style inspiration for the space, which combines warm industrial elements and sleek wood. How many ways to taste a tomato? The time he spent outside the pressure cooker of Seoul to concentrate just on food and his own style has paid off. His geniality infuses the food, and Chef Park’s sense of fun shines through with the playful dishes. White tablecloth restaurants often act as temples of food, subdued and suffused with seriousness, but Muoki’s dishes often include winsome elements and ideas even as they bring spectacular, exacting flavors. And taste good they do, even as they bend the rules. 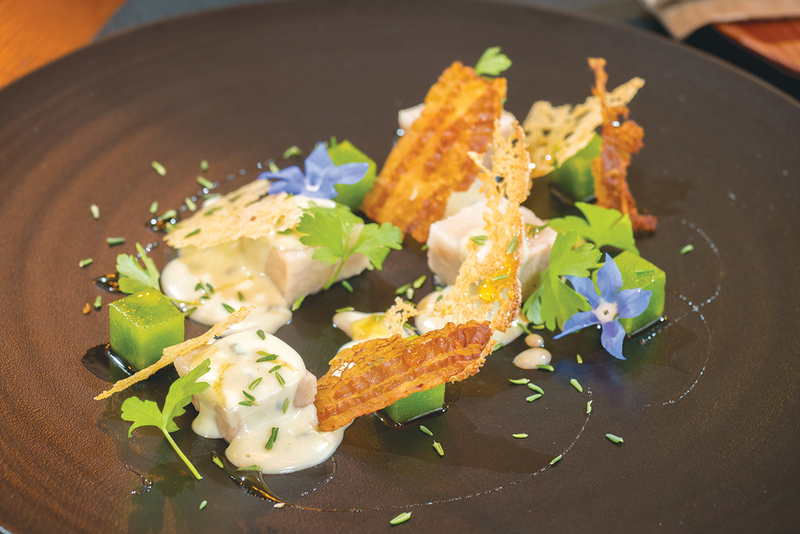 A sous vide pork dish stands out for its meltingly soft but incredibly porky morsels, but also for the flowers charmingly peaking around Parmesan and prosciutto chips. 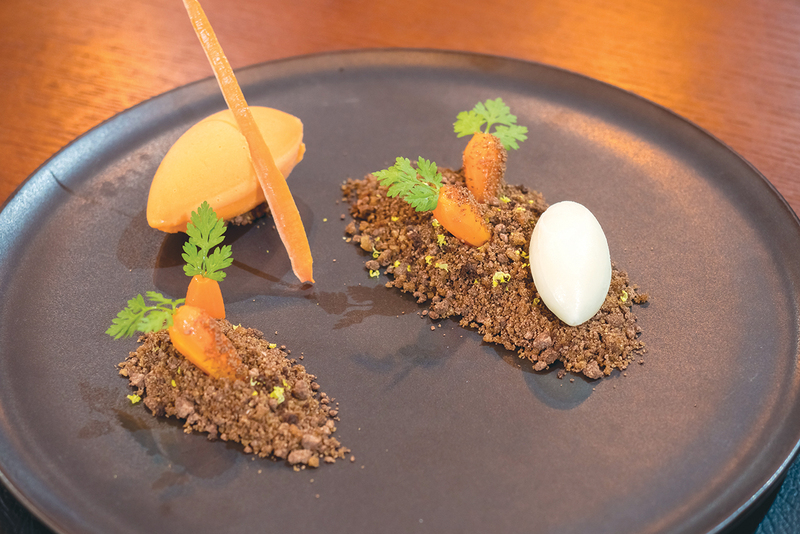 An almost cheeky carrot dessert plate brings out the sweetness of carrot in a cream, ice cream, cake and even marinated carrots, each with their own unique, distinct but intensely carrot-y essence. Other dishes treat the plate like a painter’s canvas, creating landscapes out of food.